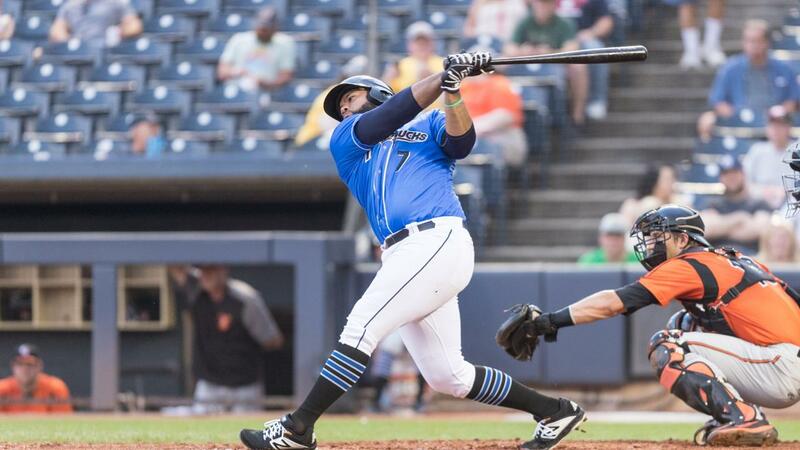 Akron's Nellie Rodriguez belted a game-winning, solo home run in the bottom of the 10thinning to lift the RubberDucks to a thrilling, 2-1 playoff victory over the Altoona Curve Thursday night at Canal Park in Akron, Ohio. The RubberDucks (2-0) and Curve were locked in a 1-1 tie heading into the bottom of the 10th. Rodriguez was up first and wasted little time ending the ballgame as he swatted the first pitch he saw from closer Matt Eckelman over the left field fence for a stunning, 2-1 victory and a commanding 2-0 lead in the best-of-five division series. Jordan Milbrath (1-0) earned the win in relief, one night after picking up a save in Game 1. Milbrath entered the game with two outs in the eighth and retired all four batters he faced, including a 1-2-3 ninth. Right-hander Jake Paulson worked the first seven innings for the Ducks, and allowed one run on five hits. He served up a lead-off homer to Cole Tucker and nothing after that. Argenis Angulo and David Speer each provided scoreless relief for Akron. Akron tied the game, 1-1, in the sixth against Eduardo Vera. Jodd Carter singed for Akron's first hit and advanced to third on a single by Daniel Salters. Sam Haggerty then hit a grounder to first baseman Will Craig who tagged first as Carter broke for the plate. The throw was high and just late, allowing Carter to slide in with the tying run. Eckelman (0-1) entered the game in the ninth and recorded two strikeouts while retiring the side in order...Vera was nearly flawless, as he worked eight innings allowing one run on just two hits…He was 2-0 against the Ducks in the regular season…Rodriguez was 1-4….The RubberDucks had 10 walk-off wins during the regular season…The Curve (0-2) have lost 10 consecutive playoff games at Canal Park, dating back to 2003…The Curve will host Game 3 on Friday at 6 p.m. and Games 4 and 5, if necessary…New Hampshire defeated Trenton, 10-4, Thursday to take a 2-0 lead in the Eastern Division Series…Time of game: 2:51…Attendance: 3,419. The RubberDucks and Curve will continue the best-of-5 ELDS on Friday night at 6:00 at PNG Field in Altoona. The game will be broadcast on Fox Sports 1350 AM, the WARF iHeart channel, and the TuneIn Radio App.